The scientists of Jawaharlal Nehru Krishi Vishwa Vidyalaya, Jabalpur viz., Dr. Sunil Bhaska Rao Nahatkar, Principal Scientist, Directorate of Research Services, Dr. R. P. Joshi, Subject Matter Specialist, College of Agriculture, Rewa, Dr. Manoj Shrivastava, Senior Scientist, Sesame & Niger project (ICAR), College of Agriculture, Jabalpur and Dr. Amit Kumar Upadhayaya, Scientist, College of Agriculture, Tikamgarh visited Brazil to learn Brazilian Soybean Cultivation Technologies during 17th January 2013 to 2nd February 2013. 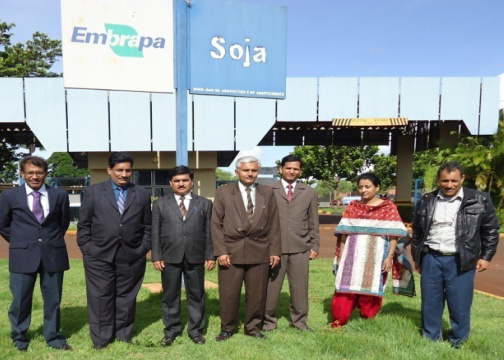 During this period they have visited Embrapa Soja, Londrina, IAPAR (Parana State Agriculture Institute), Londrina , Integrada (Farmers Association), Londrina, COAMO (Oil factory) Parana, CAMPO, Brasilia, Embrapa Cerrado, Brasilia, Embrapa Agrosilvopastorial, Sinop and Farmers fields at various places. 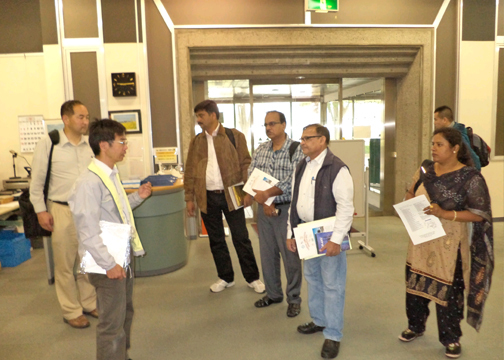 Dr. S. K. Rao, Dean, Faculty of Agriculture, JNKVV Jabalpur, visited Japan during 7th to 15th September 2013 as a member of team for Counterpart Training for strategies making for Agricultural Research Extension System and Rural Infrastructure System towards the maximization of soybean cultivation. 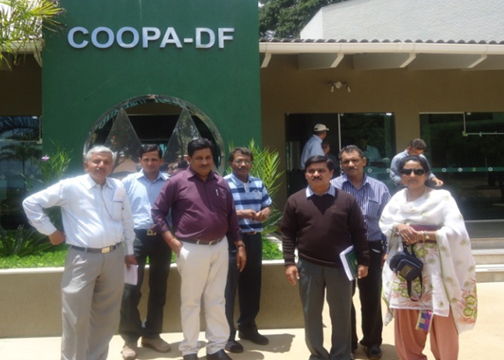 Dr. S. S. Tomar, Director Research Services, Dr. S. B. Agrawal, Subject Matter Specialist (Agronomy), JNKVV Jabalpur and Dr S. K. Pannase, Project Coordinator, Krishi Vigyan Kendra, ZARS, Chhindwara visited Brazil from 1st to 9th February 2014 under JICA Learning Trip on “Soybean Cultivation Technologies”. 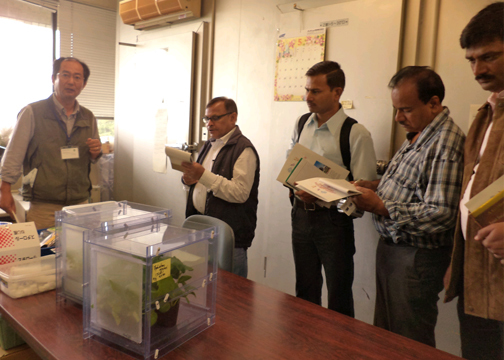 Dr. Sunil Kumar Pandey, Scientist Department of Plant Breeding & Genetics, College of Agriculture, Jabalpur is on a six month visit to Japan for technical training on “Soybean cultivation and cultivar selection technology” on soybean under MP-JICA project on Maximization of Soybean in Madhya Pradesh. The duration is training is 6 months. (August- December 2014). Dr. P. C. Mishra, Principal Scientist, Zonal Agricultural Research Station, Powarkheda and Dr. R. S. Shukla, Principal Scientist, Wheat Improvement Project, Dept. 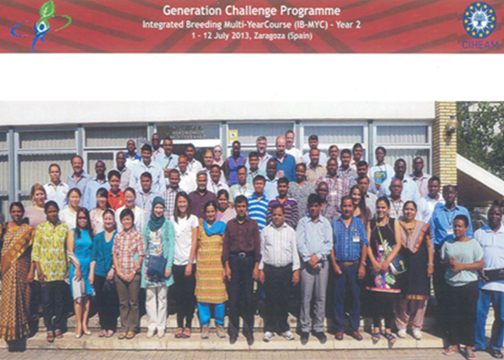 of Plant Breeding & Genetics, JNKVV, Jabalpur visited Kathmandu (Nepal) from 10th-14th September 2014 to attend annual review and work planning meeting of BMZ and SCISA (CIMMYT) programme for South Asia, and present progress and to finalize the research programme for 2015-16. 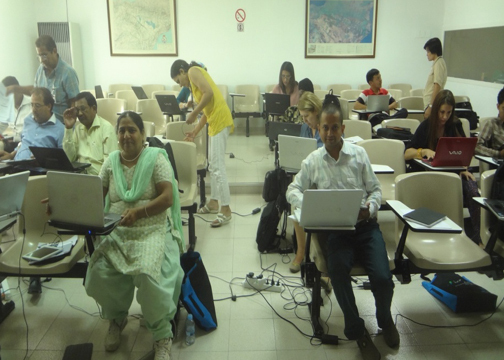 Dr. Anita Babbar, Principal Scientist AICRP on Chickpea, Dept of Plant Breeding & Genetics, College of Agriculture, Jabalpur, and Dr. Yogranjan, Scientist (Biotechnology), College of Agriculture, Tikamgarh visited Mediterranean Agronomic Institute of Zaragoza (CEHEAM-IAMZ) Spain (15-26th Sept. 2014) to attend training programme under Integrated Breeding Platform on IB-MYC-III.